Are Google's partners ruining Android? Break out your tinfoil hats and stock up on tinned food, because we've uncovered a conspiracy that makes a Dan Brown novel look like a big load of badly written crap. It's global in scale, affects millions of people and involves some of the world's most famous firms. We're talking, of course, about the conspiracy to bring down Google's Android OS. Google's enemies aren't the people or organisations that you might expect. They're not the Apples and Microsofts of the world or their supporters, and they're not anti-competition regulators. They're Google's partners, the very firms who make, market, sell and support Android devices. Between them, they're doing their very best to ruin Google's mobile OS. 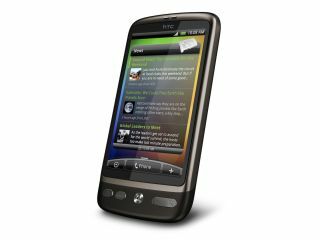 When Google announced its Nexus One phone, it threw away the rulebook. Instead of selling phones with contracts attached, it would sell them directly to us. Instead of letting manufacturers decide what features to include, Google would control the experience. Instead of letting networks stuff the phones with proprietary software, Google would keep it clean. Unfortunately it seems that the manufacturers and networks promptly found the rulebook and beat Google around the head with it, because the Nexus One is no more and Google's partners are doing their very best to do what they've always done - that is, make mobile phones as confusing and as closed as possible. Let's take the manufacturers first. Some, like Dell, happily ship brand new devices with ancient versions of Android; others believe that what the world really needs is yet another proprietary Android interface, so we've got Motorola's Blur, HTC's Sense, Samsung's TouchWiz and others. The selection of interfaces has become so confusing that Google has already said that with Android 3, aka Gingerbread, it will kill off third-party interface skins. But that's nothing compared to what the networks are up to. Around the world they're holding on to system updates, stuffing smartphones with unwanted apps and even replacing key services. To take just a few recent examples, many UK users are still waiting on the Froyo (Android 2.2) update that Google released way back in May; O2 tried an update earlier this month but recalled it after it froze some customers' phones. Networks add software that's difficult or impossible to remove, and they're messing with the Android Market, too: US operator Verizon is preparing its own Apple-style App Store, which you can be sure will be more prominent than the Android one. Verizon is attracting particular criticism: in addition to the issues mentioned above it's done the unthinkable and dropped what many people might see as core Android services. If you buy Samsung's Fascinate, the Verizon version of its Galaxy S, Google search is replaced by Bing search and the navigation app is the proprietary, $10 per month VZ Navigator. According to The Droid Guy, the same policy will apply to future Android devices on the network. Verizon has also signed an exclusive deal with Skype: if you want to run it on an Android phone in the US, you need to be with Verizon. The result is something like James Kendrick describes: "The hardware partners are putting their own spin on the interface to make the phones stand out. Then you have carriers also involved who are quick to change the features on a given phone to fit their own purpose." He also describes the problem of updates that are delayed by carriers or blocked altogether. Is he writing about Android? Nope. Windows Mobile. Things got so confusing that Microsoft has effectively had to bin Windows Mobile and start again with a new platform and a new name, Windows Phone. Android has been one of the main beneficiaries of Microsoft's mobile mis-steps, but it doesn't appear to have learnt any lessons from it; while it's been gaining market share at Microsoft's expense it seems to be making the very same mistakes that got Microsoft into such a mess in the first place. The problem that faced Windows Mobile, and the problem that is starting to face Android today, is fragmentation: the more different interfaces and version numbers and restrictions there are, the more confused consumers become. When you buy a phone expecting to run Skype but find it blocked, or to get over the air updates but your network won't provide it, it may permanently dent your faith in the platform. Will Android suffer the same fate as Windows Mobile? Perhaps not - the decision to kill off third party interfaces in Android 3.0 is a good sign - and definitely not in the short term, because (with the exception of Apple) Android's rivals are so far behind in the smartphone space that Google would have to do something truly awful to stop Android eating their lunch. But sooner or later they'll get their act together, and when they do Google may come to regret losing control over its mobile OS.